David James Gordon Brydson was also known as Gordon. He was born on Thursday, 3 January 1907 at Toronto, York Co., Ontario, Canada. Dr. A. J. MacNamara attended at the birth. David Brydson was listed as the informant. He and Vera Dorothy Beamish, daughter of Thomas William Beamish and Flora Jane Watson, were married by Presbyterian Minister J. Ewing Reid on Tuesday, 9 August 1932 at Alhambra Avenue United Church, 1573 Bloor Street West, Toronto, York Co., Ontario, Canada. Deretta Jessie Beamish and Glen Brydson witnessed the marriage. He was considered an all-round athlete. He played for the Toronto Argonauts in the 1926 season, as a flying wing and place kicker. His hockey career started in 1926-1927 as he played for the Chicago Cardinals/Americans in the AHL. 1927-1928 found him on the roster of the Hamilton Tigers of the CPHL, and in 1928-1929 with the Buffalo Bison of the same league. He played first for the Toronto Maple Leafs in the 1929-1930 NHL season and second with the London Tecumsehs of the IHL. 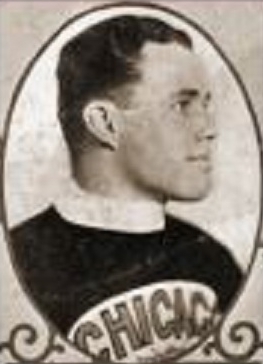 1930-1932 found him with the Chicago Shamrocks of the AHA, and with the Detroit Olympics for 1932-1933. He then decided to make golf his profession, winning the CPGA twice, two Ontario opens, and a Québec open. He also captured the CPGA senior crown in 1961. Gordon died on Sunday, 4 February 2001 at home, Mississauga, Peel Co., Ontario, Canada, at age 94 years, 1 month and 1 day. He was buried on Wednesday, 7 February 2001 in Park Lawn Cemetery, Toronto, York Co., Ontario, Canada.